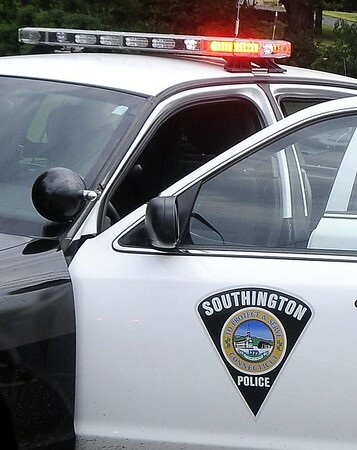 SOUTHINGTON - A Waterbury woman has been allowed to plead guilty to a reduced charge and will avoid prison time after agreeing to pay restitution to an elderly couple after stealing jewelry from them while she was working in their Southington home as a health aide. Veronica Gonzalez, 39, accepted a plea deal Wednesday, in Bristol Superior Court, pleading guilty to one count of third-degree larceny - a felony. The charge was reduced from second-degree larceny of a person who is over 60, blind or disabled. Gonzalez was sentenced to three years in prison, suspended, and three years of probation. While on probation, she has been ordered to pay restitution to the complainants and to not work in any position where she would “service the elderly,” Judge John Cronan said. The amount of restitution required will be determined by Gonzalez’s probation officer. According to police, Gonzalez stole a necklace, made of white gold, with an opal pendant attached to it, and some other belongings. The owner, an 84-year-old man, said he wasn't sure how much it was worth, but he estimated that it could cost as much as $5,000. The complainant told police Gonzalez was assigned to his home through a homecare service to help him and his wife, 91, around the house. After her first day on the job, on Jan. 24, the man noticed a necklace had been taken. A representative from the homecare company told police Gonzalez didn’t show up to work in the days after the theft. After initially reporting only the necklace missing, the victim later contacted police and said he was also missing a money clip and a watch. When police spoke to Gonzalez, she admitted to taking the necklace, but she initially said she believed it was only costume jewelry, according to police. She later admitted she believed it may have been worth something, which is why she sold the necklace to a Waterbury pawn shop, police said. Posted in New Britain Herald, Southington Herald on Wednesday, 22 August 2018 14:27. Updated: Wednesday, 22 August 2018 14:30.